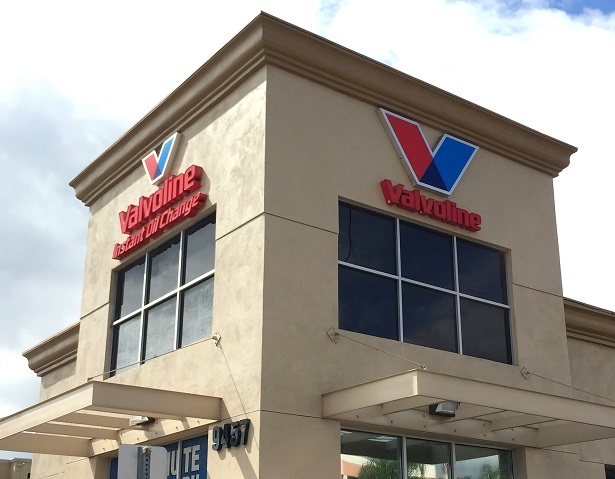 I partnered with Valvoline Instant Oil Change (VIOC) for this project. All opinions are my own. October is Breast Cancer Awareness Month & this year it has taken on a special meaning for me. A few months ago, in late May, I went in for my annual check-up. The Nurse Practitioner performed a breast exam & found a small lump in my right breast. I told her that my mammogram was already scheduled for the next week, but she went ahead & ordered an ultrasound (in addition to the mammogram) so that the she could get a full picture of what was going on. I tried not to be nervous, as my mom has several benign cysts, but you just never know. I have a cousin on my father’s side who is a breast cancer survivor & she is only a few years older than me. Every day, until it was time for the mammogram, I would feel the cyst to make sure it didn’t get larger. On the day of the mammogram & ultrasound tests, I went in with a hopeful & positive attitude. Flash forward to a few weeks later & it turns out that not only did I have a benign breast cyst in my right breast, but they also found a smaller benign breast cyst in my left breast. I couldn’t feel the cyst on the left side, so that was alarming. Both the technician & nurse practitioner explained that you don’t always feel these cysts. As a precaution, I will have to go back in a couple months to retake the mammogram & ultrasound tests, to confirm that nothing has changed (i.e. the cysts get larger). It is because of this experience that I decided to partner with Valvoline Instant Oil Change (VIOC) in their #WipeOutBreastCancer campaign. 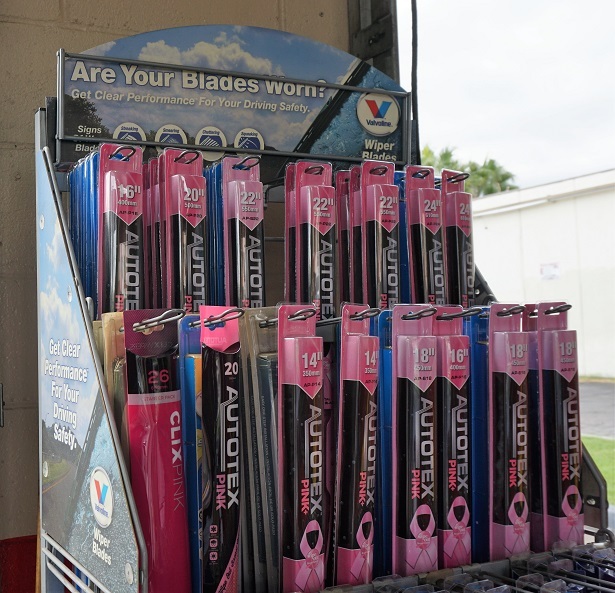 Throughout the month of October, VIOC is selling AutoTex PINK Wipers with proceeds going to National Breast Cancer Foundation (NBCF). 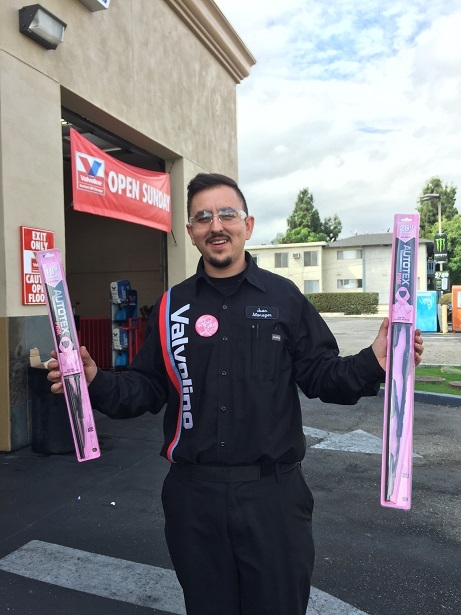 Consumers may choose from full Pink Wipers or Black Wipers with a small pink ribbon. These all-weather wipers are available at select participating VIOC locations found here. 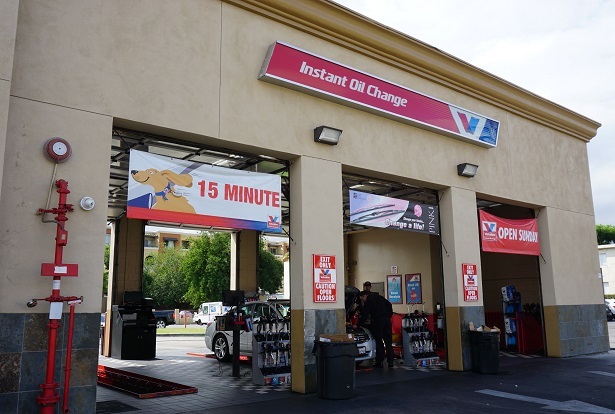 Valvoline Instant Oil Change (VIOC) is a full service 15-minute drive-thru oil change with no appointment necessary. 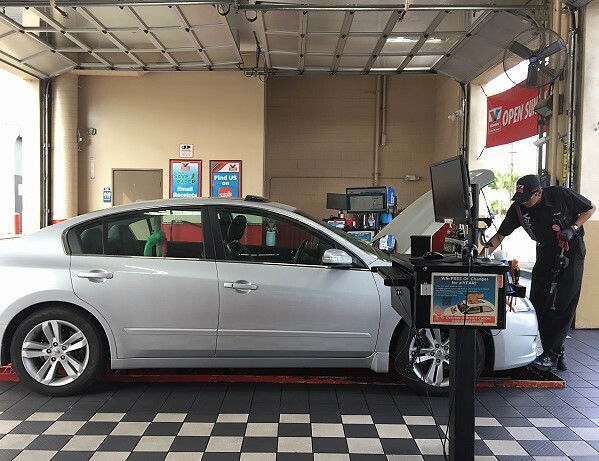 Not only do you not have to make an appointment in advance, but customers can stay in their cars during the entire service. This makes car maintenance easy for busy people like me (& other parents) since the kids don’t have to get out of the car. That’s a win-win in my book! I needed to get my oil changed, plus I wanted to get the black wipers to support the cause, so last week I went to my local VIOC. The technicians at Northridge VIOC performed everything in no time flat! Soon I was on the road, heading to my next appointment. It’s a good thing I had the wipers changed, as we had a rare shower in LA (ok, more like rain sprinkles). However, I felt comforted by the fact that I had new wipers as my other wipers were old & squeaky, plus it was all for a good cause. I hope that by sharing my personal story it encourages at least one person to schedule their mammogram. I’m at the age where I have to get my mammogram done annually. 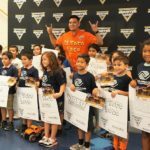 My experience in June proved to me that it is important to be diligent & not skip this test. In fact, National Mammography Day is October 19th, which is such a great reminder to get that mammogram done! 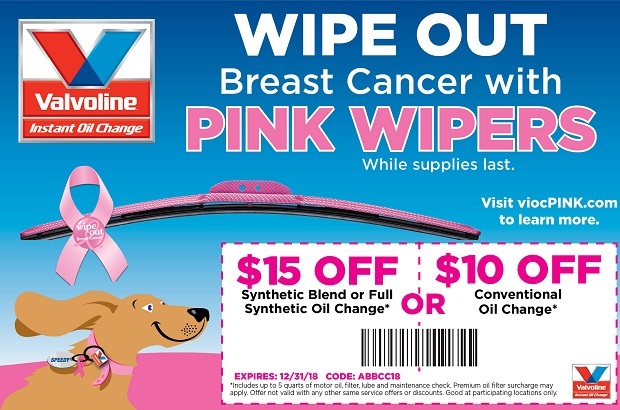 Not only that, but Valvoline Instant Oil Change will make a double donation to the National Breast Cancer Foundation on all wipers sold on October 19. 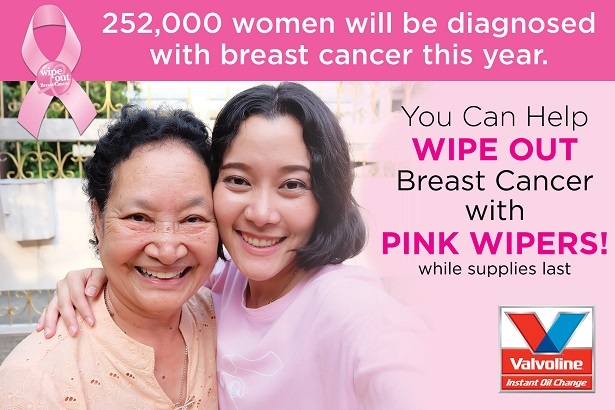 To learn more about the campaign & find a location selling pink wipers near you, visit viocpink.com. 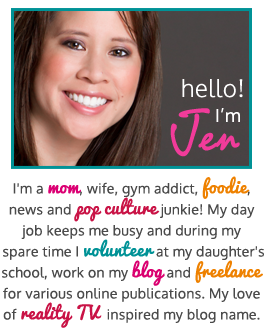 For Real Mom of SFV readers, you can use the VIOC coupon (shown below) for an oil change. Please note that the AutoTex PINK Wipers cannot be discounted. Disclosure: I partnered with Valvoline Instant Oil Change for this project. All images are my own unless otherwise noted. As always, my opinions are 100% my own. 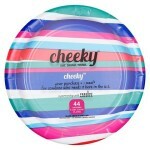 #EatDrinkThink with Cheeky Paper Products!